Are you looking to tune your Land rover? If so, you are in the right place! 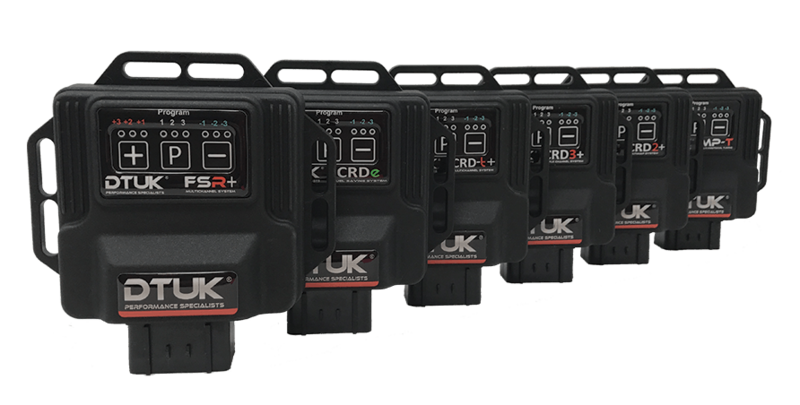 The DTUK Performance range of plug & play tuning systems and designed to get the most from your Land rover. Our systems benefit from the latest in multi-sensor technology and user-selectable multi-map tuning solutions. Your turbocharged petrol, diesel or hybrid-engined Land rover is in the safest of hands. Our market-leading systems are programmed specifically for your vehicle and can be installed at home, usually in 20 minutes or less thanks to our OEM connectors and detailed colour installation instructions. Our performance systems work in conjunction with your vehicles ECU, which means that all manufacturer safety parameters remain in place. This also gives the added benefit that with your DTUK tuning system removed your Land rover will revert back to a factory standard tune leaving no trace of installation. Once the system is installed you will immediately feel the increased power and torque that your engine has to offer, alongside improved throttle response and optimised driveability taking your Land rover to a whole new level of performance. Check the testimonial section below to see what other Land rover owners have had to say about their experience of fitting and using DTUK products. 10th Dec 09 Range Rover Sportmassive fuel efficency and superb performance. Thoroughly recommend it. 6th Mar 07 You have testimonials for DTUK Red and Green added to a Freelander now lets complete the trio. Ive been driving my Freelander with a CRD2 and have spent time playing with the 4 programmes and 7 settings on each.